White walls are still hot...and the minimalist look isn't going anywhere for awhile but color is coming back onto the scene for 2017. Wall colors are getting darker and more interesting and people are ok with that. There's so much more to selecting the perfect wall color than people think. Especially now. Colors have evolved so much that picking that perfect color is hard. What's the base color mixed with? Black, white, brown, yellow? Is there a hint of red? Is it a clear color or more muddy? Black or grey mixed in with colors usually makes them more "mature-looking" while brighter colors with more white can sometimes feel juvenile. All that to say that blue is definitely a solid color choice for walls. However, not just any blue will work. There are certain blues that are a more elevated version of the color and it's important to pick the right one for your space. We love black walls, but they sometimes scare people. Blue, on the other hand is "safer" and also considered a neutral--it works well for a feminine or masculine space and blends well with almost any other accent color--so it's also versatile! So today we're sharing an article with you that we found on Houzz about some beautiful blues! Thanks, Becky Harris, for the great color choices! The blues that Becky discusses are inspiring and come highly recommended by designers. So be sure to take notes! 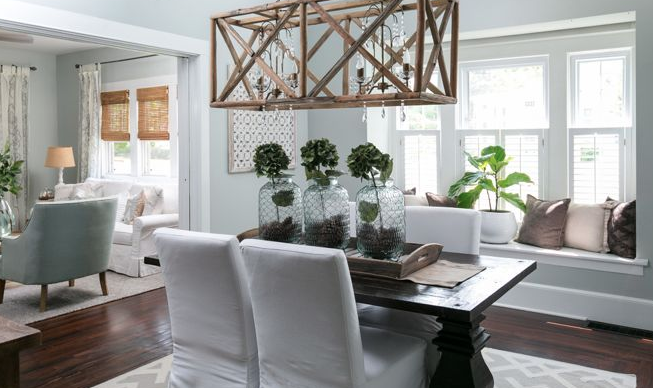 For something slightly powdery but still expensive looking, try Benjamin Moore's Sea Star 2123-30. It's a type of colonial blue but works well with a light space to create a statement! 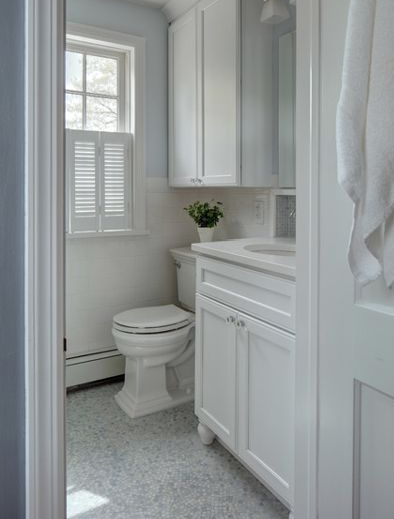 Blue Note 2129-30 by Benjamin Moore is one of our favorites! It's rich and bold and screams strong and successful! Similar to Blue Note but with a little more black in it, Hale Navy 2063-10 by Benjamin Moore has more of a nautical feel. Pair it with white trim, stripes and brass and you've got a cozy space perfect for any season. Going slightly darker is In The Midnight Hour 1966 by Benjamin Moore. This color is one you'll definitely want to pair with whites and texture to lighten it up but don't be afraid to use it to make a statement. We'll be honest. Different brands of paint offer better selections in certain color families. Sherwin Williams has a great selection of greys and grey-beiges while Benjamin Moore is definitely a competitor in blues! Remember that when paint shopping. Sometimes shopping in different brands is necessary to find the perfect color.